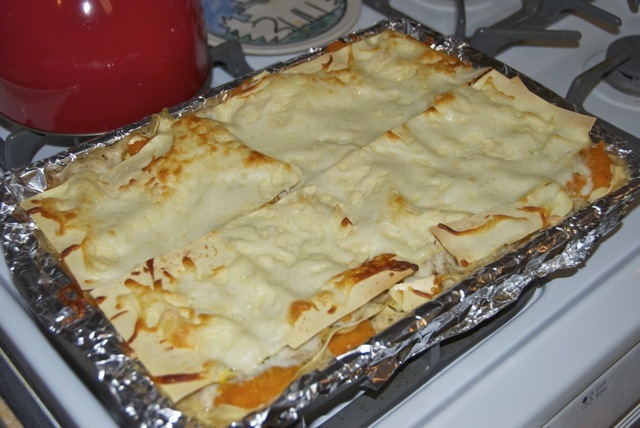 This recipe is brought to you straight from Minnesota via Nick’s Grandma Alice. Grandma Alice is an avid blog reader and has even made my Chinese Chicken Salad and Taco Salad for her friends! When she saw this recipe, she thought of me and passed it along. Thanks, Grandma! You all know by now that I love pumpkin. 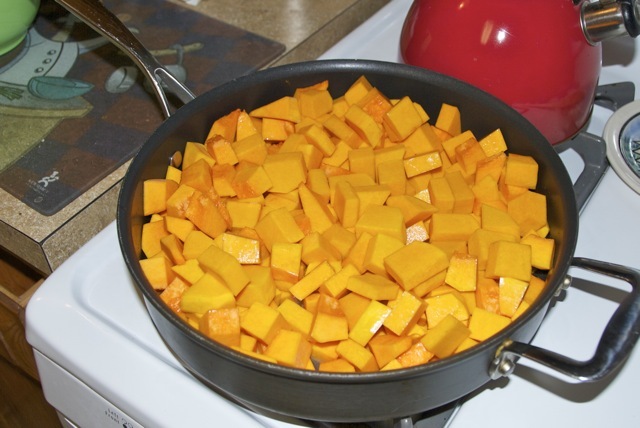 So it shouldn’t be much of a surprise that I also love butternut squash! It’s a pretty similar vegetable, but the reason I don’t make them very often is because I’m usually not strong enough to chop them open! Opening a can of pumpkin is a lot easier than cleaving into a squash with a butcher knife, getting the knife stuck, and then almost cutting off my arm trying to remove the knife. But this recipe sounded really good, so I decided to risk my life! In a large skillet, heat the olive oil over medium-high heat. Add the squash and toss to coat. Add 1/2 cup water, reduce heat and simmer, covered, for 20 minutes or until tender. Cool slightly. 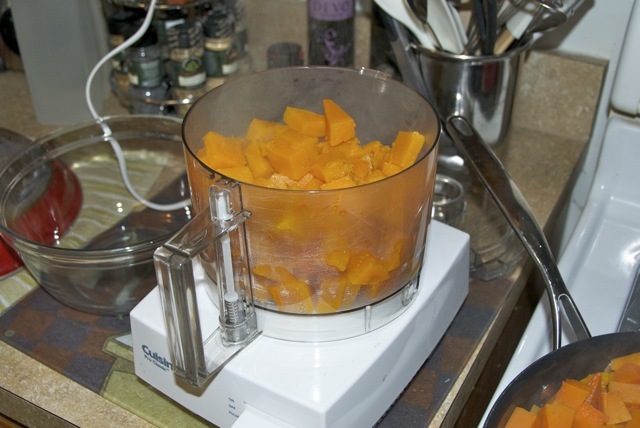 Puree squash in a food processor and season with salt and pepper. Meanwhile, in a medium saucepan melt butter over medium heat. 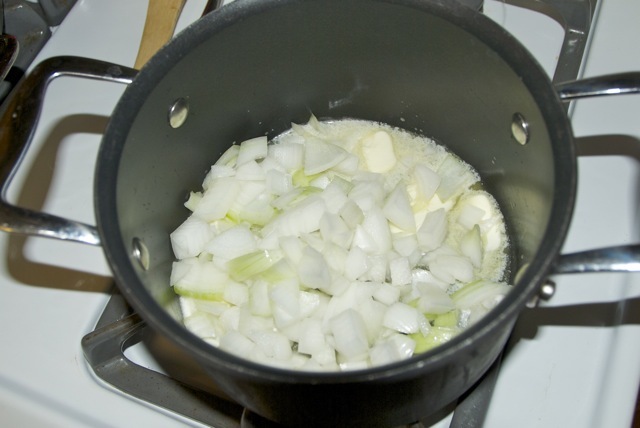 Add the onion, cover and cook until onions are soft, about 7 minutes, stirring frequently. Add flour, whisking for 1 minute. 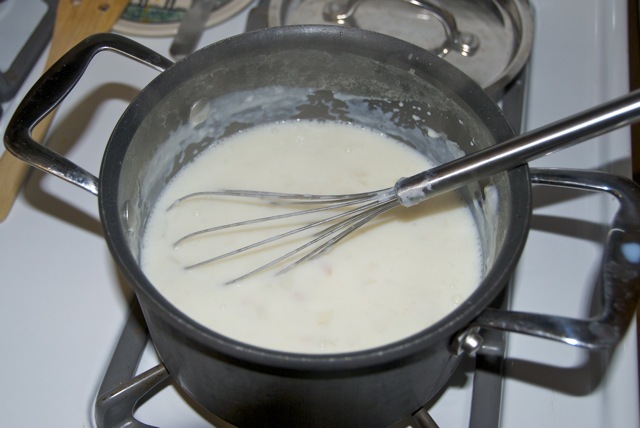 Increase heat to high and gradually whisk in milk. Bring to a boil, reduce heat and simmer for 5 minutes or until slightly thickened. Whisk in nutmeg and cinnamon. Let cool slightly. 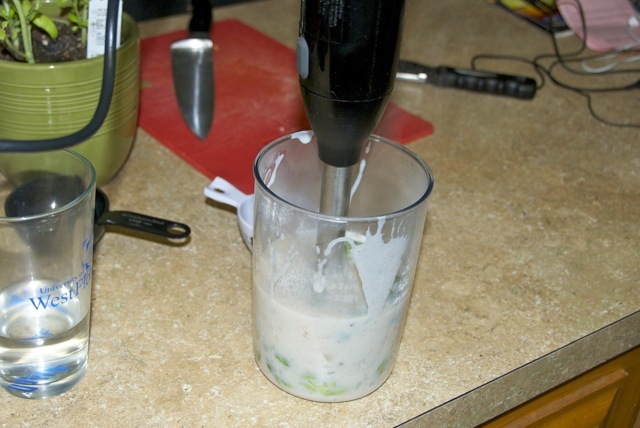 Pour half the white sauce into a blender, add the basil and blend until smooth. 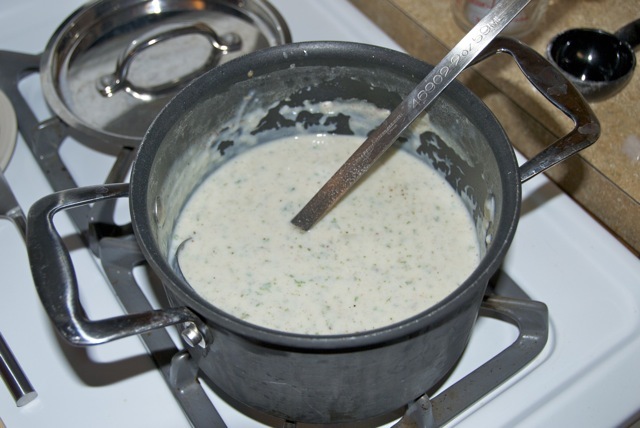 Return basil sauce to saucepan and combine with the rest of the white sauce. Season with salt and pepper. Preheat oven to 350 degrees. Reserve 1/2 cup mozzarella. Lightly spray a 9×13 inch baking dish with nonstick cooking spray. Spread 3/4 cup of basil sauce in bottom of dish. Place a layer of noodles over the sauce. 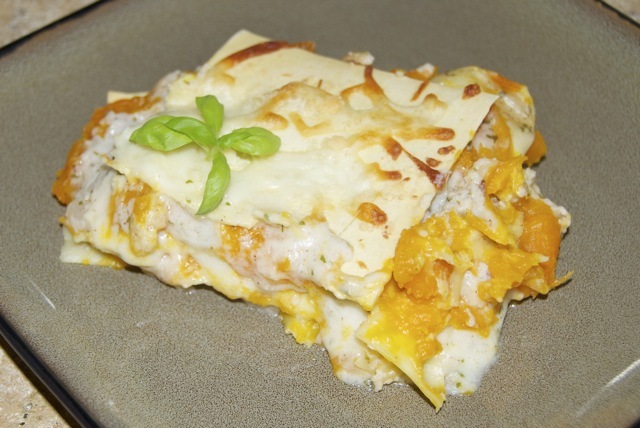 Spread a layer of the squash puree over the noodles, followed by 1/2 cup mozzarella cheese. 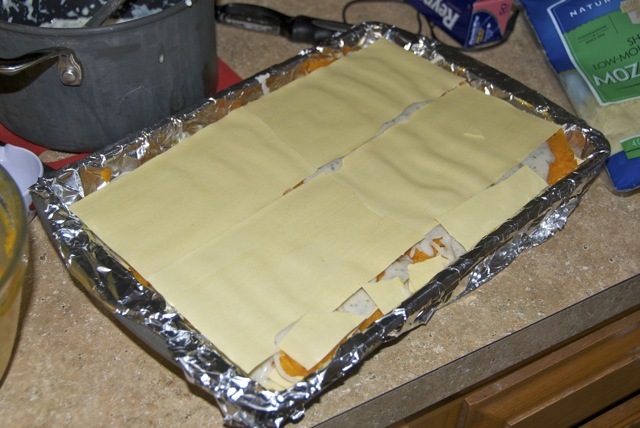 Cover with foil and bake for 40 minutes. 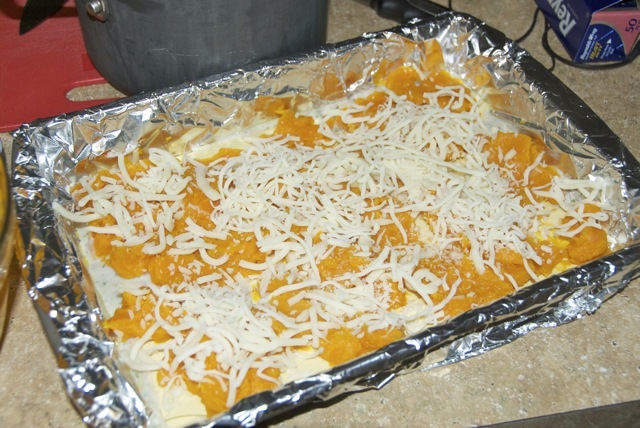 Remove foil and sprinkle with reserved 1/2 cup of mozzarella and parmesan cheese. Return to oven and continue baking 15 minutes. Let stand for 10 minutes before cutting. 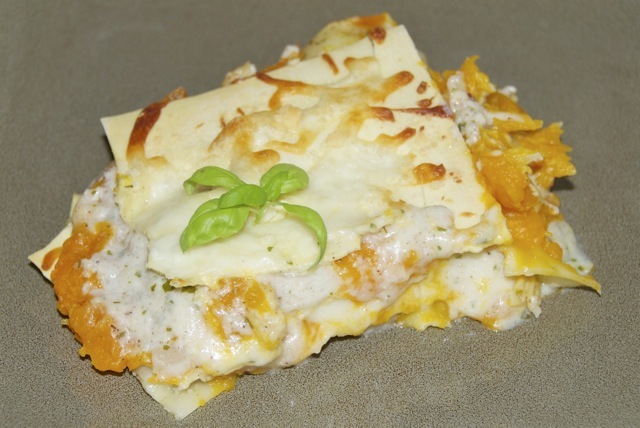 I LOVED this lasagna! Of course, Nick’s complaint was that there was no meat in it. He said it tasted like squash. Well, duh. On a side note, the onion wasn’t in the original recipe. I added that to add some flavor, and I really liked it! The no-bake noodles were kind of weird. I’ve never used them before, but did this time since that’s what the recipe called for. The top layer didn’t get quite as soft as I would have liked (though after sitting in the fridge, it softened up and made for great leftovers). I’ll probably use normal noodles next time. Hurry up and make this while squashes are in season!